Congratulations to all the participants in the USATF Master 5 km Championships. Check out results here. Join the Atlanta Police Foundation for the 2018 Atlanta’s Finest 5K organized by Atlanta Track Club. Proceeds from the event benefit Crime Stoppers Atlanta, a program of the Atlanta Police Foundation that provides cash incentives for anonymous information that helps law enforcement solve crimes. Runners and walkers are not only welcome at the 5K, but the event also includes a One Mile, ages 6 and older, as well as 50m Dash for kids 6 and under. Participants can also check out squad cars, motorcycles and the Mobile Command Unit. 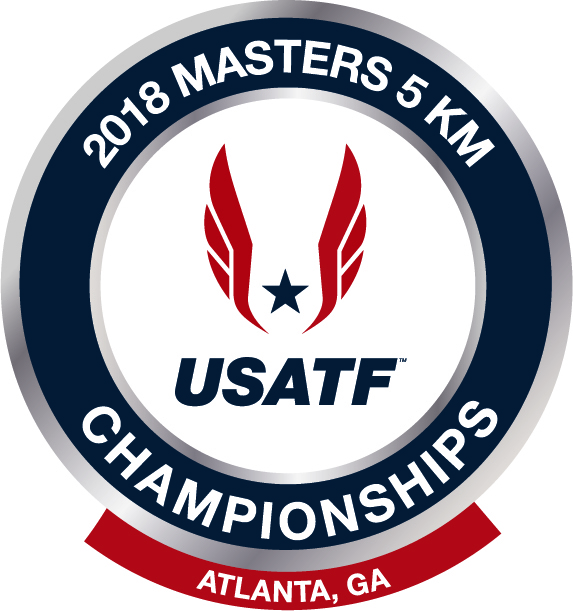 The 2018 Atlanta's Finest 5K also serves as the USATF Masters 5 km Championships. Those interested can find more information below. 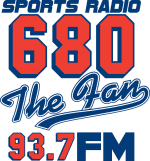 The 2018 Atlanta's Finest 5K serves as the USATF Masters 5 km Championships. A prize purse of $10,000 will be awarded to eligible runners ages 40 and over. To be included in the USATF Masters 5 km Championship portion of Atlanta's Finest 5K, athletes must register and declare eligibility through USATF.org. The designated staging area for USATF Masters Championship athletes and officials at Pemberton Place will be at the World of Coca-Cola Hub Patio. Look for the USATF Masters banner. *Teams are also awarded plaques. Atlanta's Finest 5K number pick-up will held race morning beginning at 6:00 a.m. T-shirts will be distributed after you cross the finish line. *USATF Masters 5K Championship number pick-up will be held on Friday, August 17 at the host hotel. See details above. In order to serve all our athletes, Atlanta Track Club offers opportunities for Athletes With Disabilities (AWD). 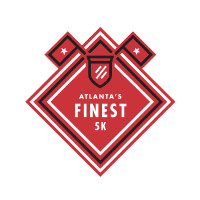 If you are an AWD and interested in participating in Atlanta's Finest 5K, please email [email protected], to discuss what reasonable accommodations can be made based on your specific needs. Atlanta Track Club officials will provide reasonable accommodation to Athletes With Disabilities on an individualized and event by event basis. Participants wishing to run with jog strollers may join the wheeled division. For the safety of all participants, this opportunity is limited to participants who can run 9:00 minutes/mile or faster for a 5K. If you would like to push a stroller but anticipate running or walking at a pace slower than 9:00 you are invited to join non-competitive stroller divisions at future Atlanta Track Club events. Overall awards for Atlanta's Finest 5K are based on gun time and overall winners are not eligible for age group awards. Age grade and group awards are based on net time. Overall Male and Female Awards? Age Group Awards for the top three men and women in each age group (10 & under, 11 - 14, 15-19, five-year increments up to 90+). In partnership with the Atlanta Tack Club, Atlanta’s Finest 5K is one of the Atlanta Police Foundation’s signature fundraising events to raise money for Crime Stoppers Greater Atlanta. Through an anonymous tip system, Crime Stoppers Greater Atlanta is a force multiplier that assists law enforcement to reduce the time it takes to investigate cases and put criminals behind bars. 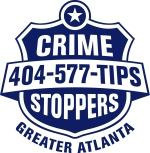 To date, Crime Stoppers tips have led to more than 1,500 arrests in the Atlanta metro area. Consider making a donation to Crime Stoppers in support of the APD officers running with you! DONATE TO CRIME STOPPERS GREATER ATLANTA. Atlanta's Finest 5K is the ninth event in the 2018 Atlanta Track Club Grand Prix Series presented by Piedmont Healthcare. For more information on the 2018 Grand Prix Series, please click here. Please note: Your age on December 31, 2018 is used as your base age for Grand Prix scoring. For example, if you are currently 34 years old but will be turning 35 in November, your age will appear as 35 in the standing throughout the Grand Prix season.